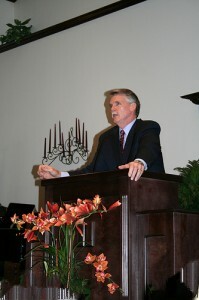 All are invited to join us for Bible questions and answers with our Preacher, Dr. David Peacock. If you have any questions, feel free to ask during this informal service and Preacher will open the Bible and explain the answers from the scriptures. Even if you don’t have any questions, this is a great time to sit and listen as others ask – you’ll always learn something new!